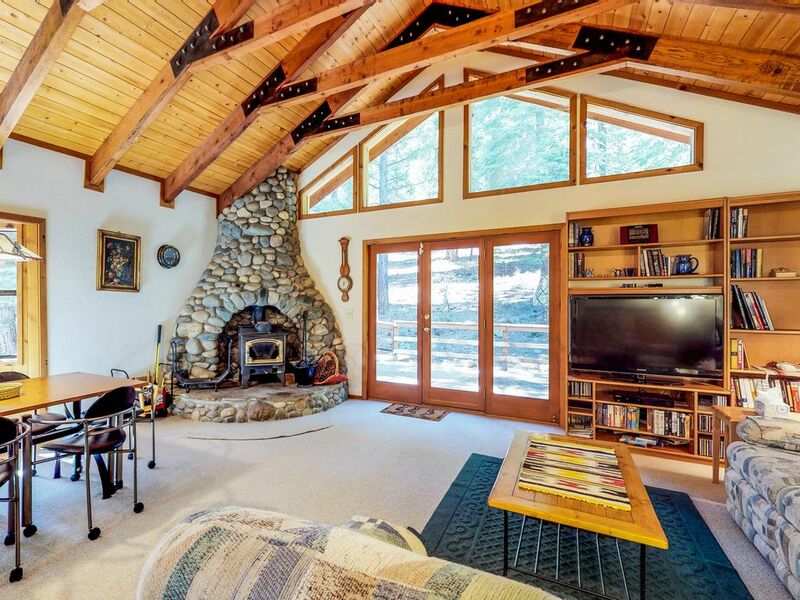 Nestled in the woods north of Tahoe Vista, this home provides the perfect place to unwind with your loved ones. Enjoy nearby golfing, skiing, and natural beauty, with a wood-burning fireplace, wet sauna, and furnished patio awaiting back home. This home lies in North Tahoe Regional Park, allowing cross-country skiing straight out the back door during the wintertime. For hikers, one can hike out the back door directly to the Tahoe Rim trail Brockway West trailhead. Nearby Northstar Ski Resort, Diamond Peak Ski Resort, and Alpine Meadows, Squaw Valley, and Mount Rose provide plenty of choices for downhill skiing. In the summertime, enjoy nearby Commons Beach, Tahoe City Golf Course, and Tahoe Treetop Adventure Park - all are a short drive away. Parking Notes: Please follow all traffic advisories for traction tire or 4-wheel drive recommendations. Highway 267 often closes or sets up traction tire checkpoints. Please do not park on Kings Way during snow plow season. Vehicles may be towed if plows cannot pass. Thank you.